I’m very sorry that I don’t have an English version of our page yet, but it’s definetely on our toDo-list for 2016. In the meantime I’m very open to respond all your questions via email or Skype and indeed we’ll ship worldwide. Basically we build custom steel frames and or complete bikes according to your needs and wishes. We have a big love for details with stainless steel braze-ons details like our own logo and/or your ideas. As we’re a big fans of low service solutions and are closely located to pinion, the gearbox manufacturer in Stuttgart, we offer frames of every type with the needed bracket. A custom TIG welded frame starts at 1550€ incl. one color powdercoat. 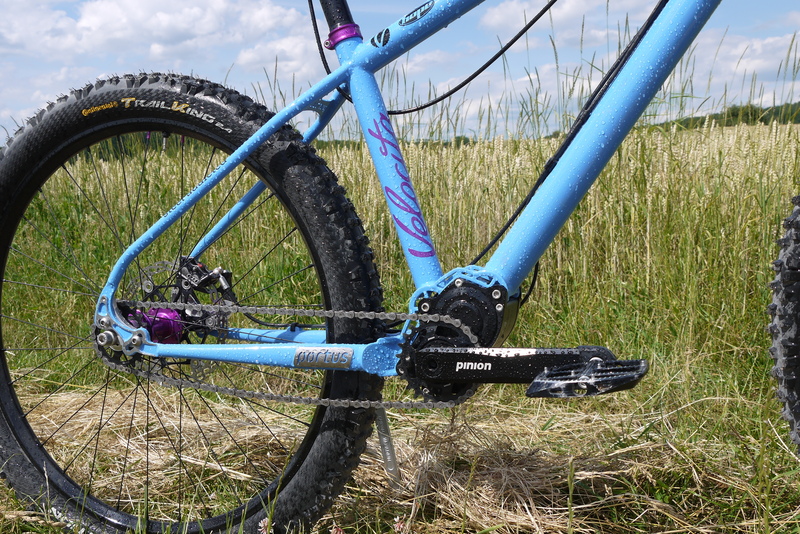 Special dropouts, tubesets or fancy solutions may add costs. For a fillet brazed frame we charge 400€ more. A pinion frame including the gearbox starts at 3500€. The ICB2.0 steel trail bike frame (130mm rear travel) with basic geometry starts at 2250€ and full custom ends at 2600€, excluding the shock. Just let me know what’s in your mind and I’ll bring it to life.